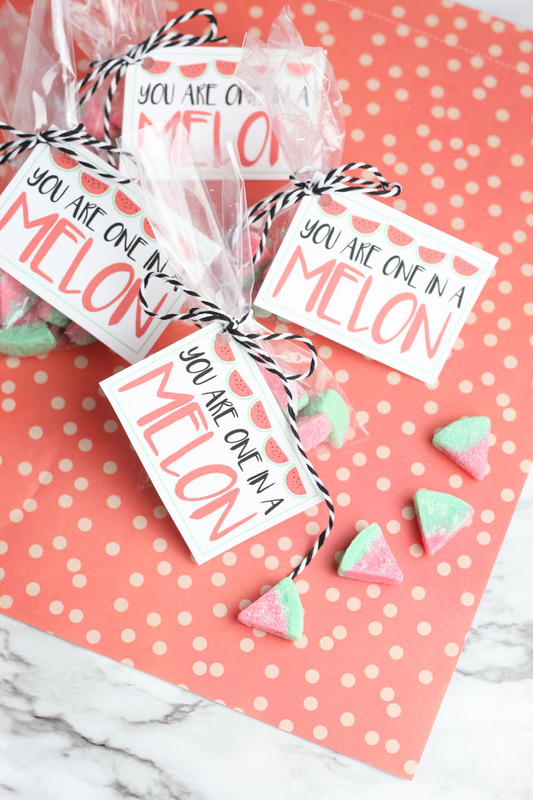 Valentine’s day is fast approaching and I’m putting together our annual school valentines. 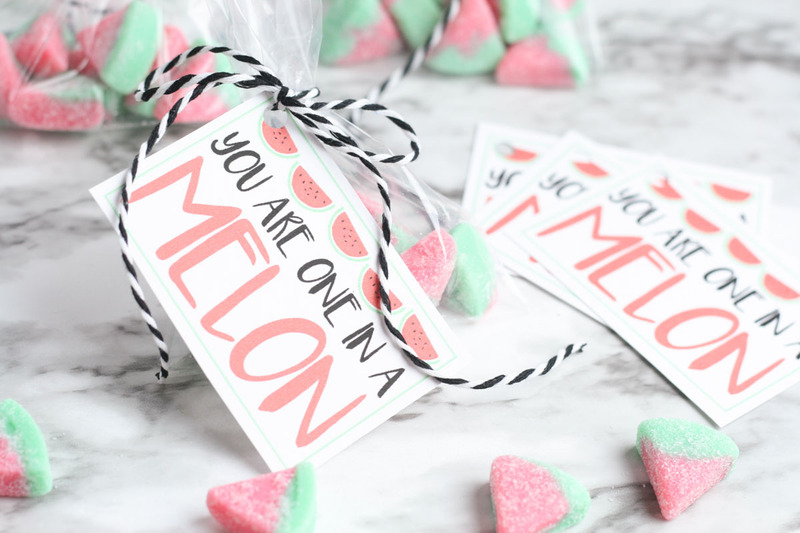 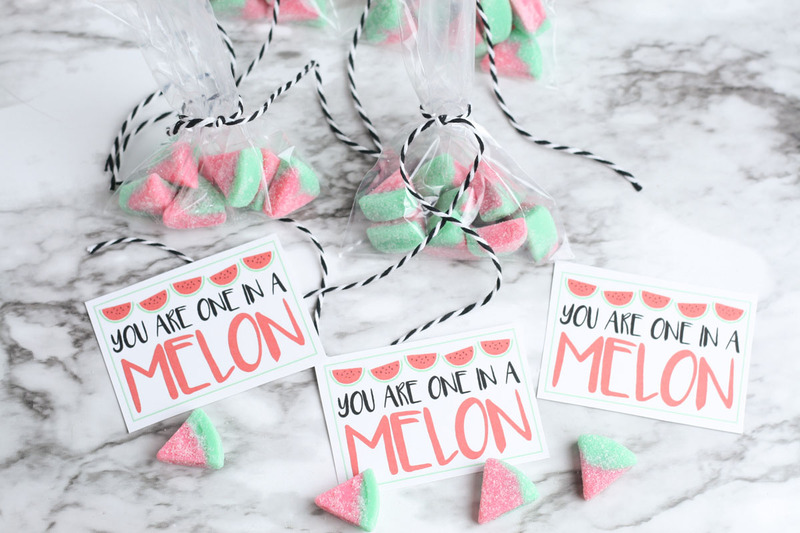 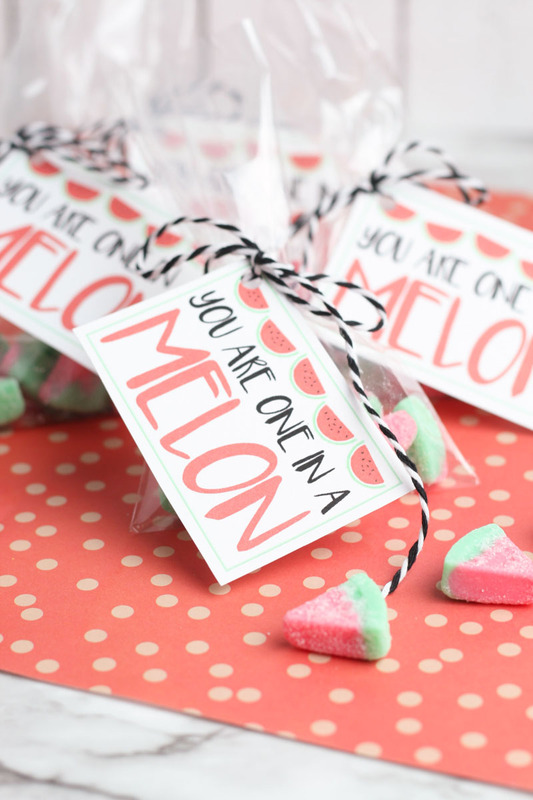 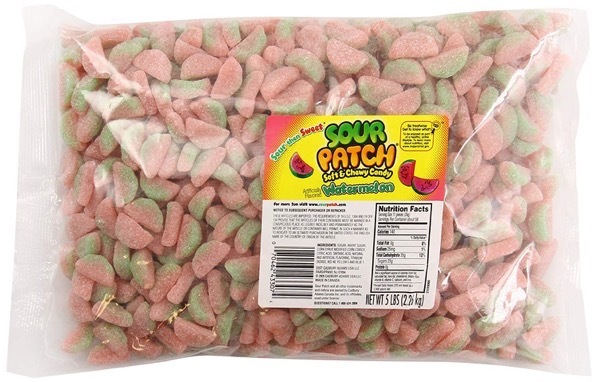 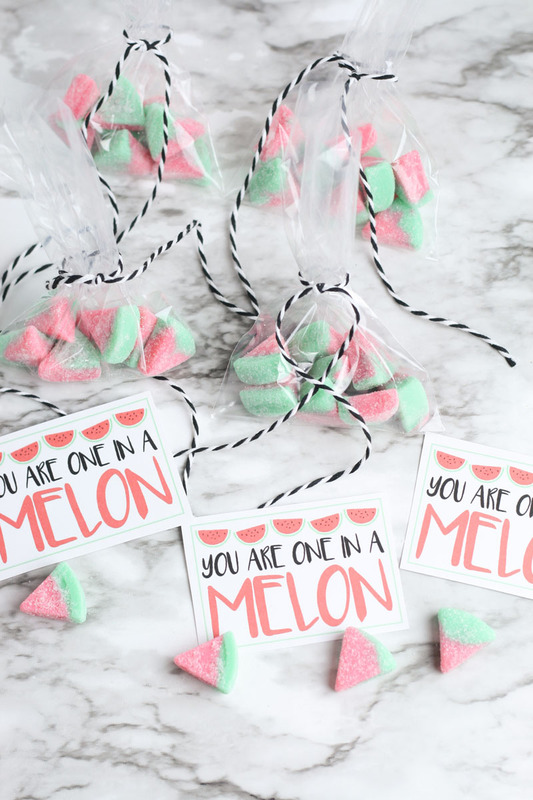 I saw these darling watermelon sour gummy candies in our local bulk bins (you can actually get big bags on Amazon to make it affordable) and knew they would be perfect as valentines. 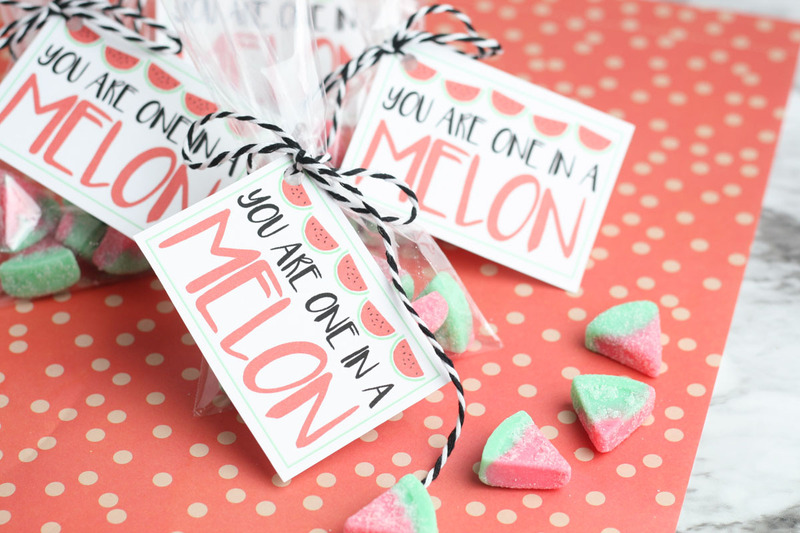 I put together these cute little tags to tie onto the little bags. 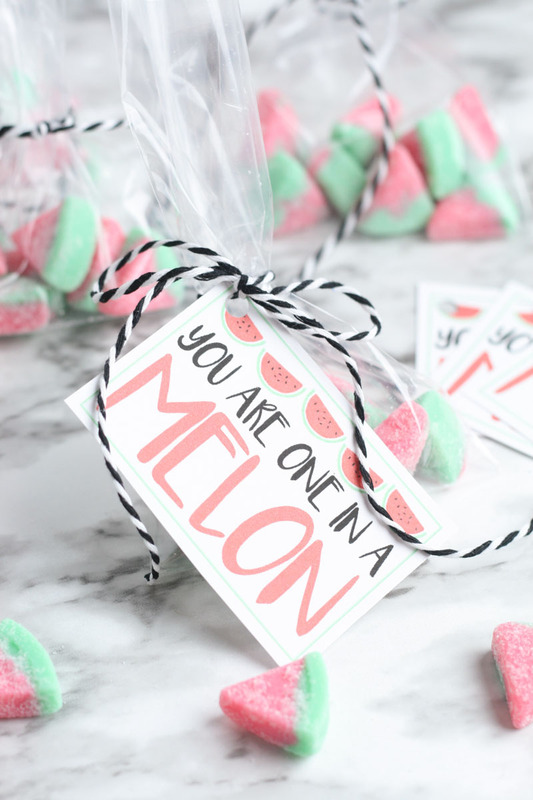 I used some black and white baker’s twin to tie the bags, but pink or green would be super cute too. 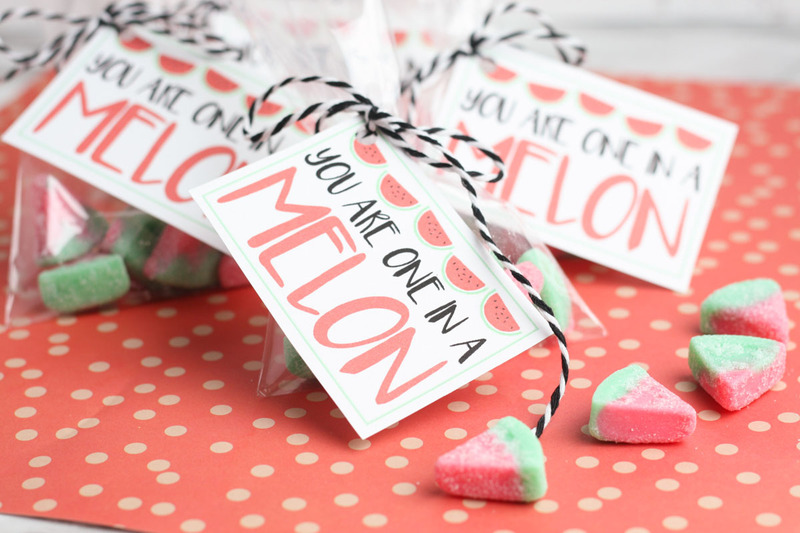 You may also like these Valentine’s Day ideas. 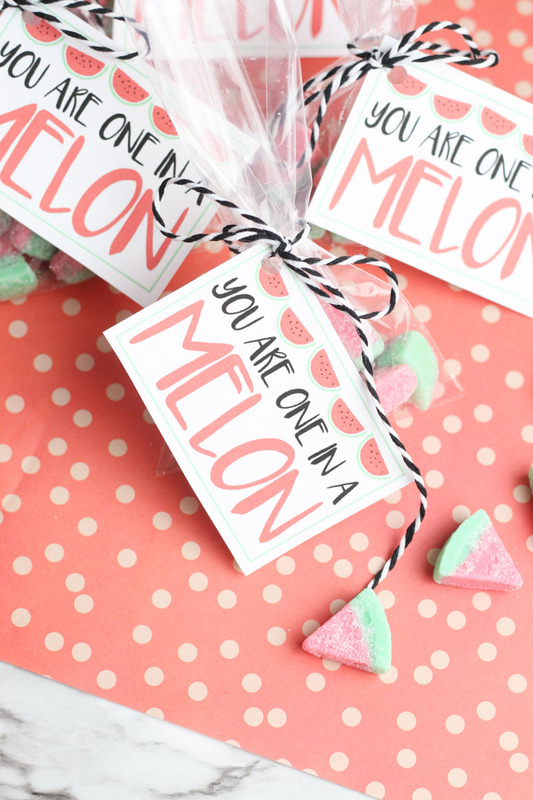 Or if you love printables, we have more of those available too! 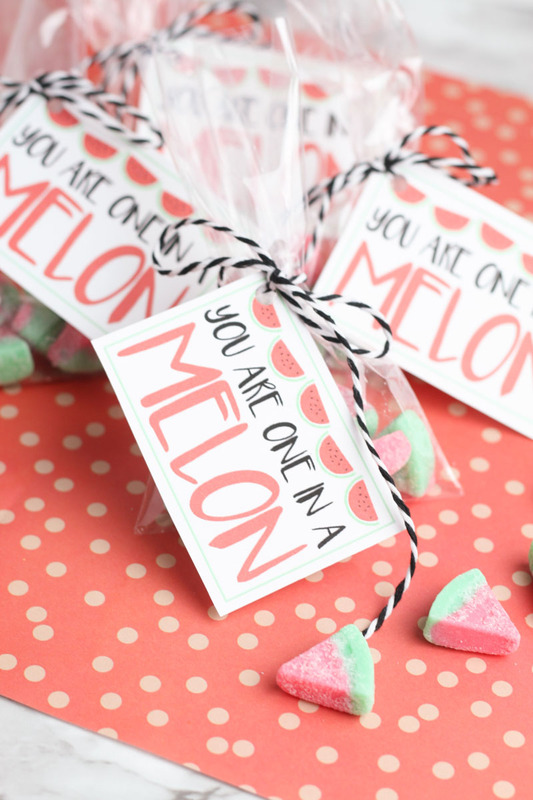 I hope you have a wonderful Valentine’s day! 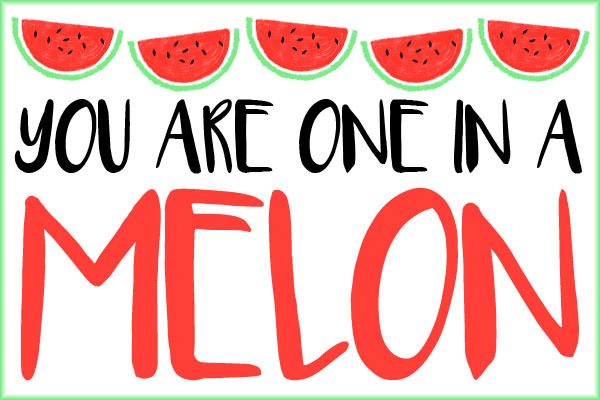 You are one in a MELON!